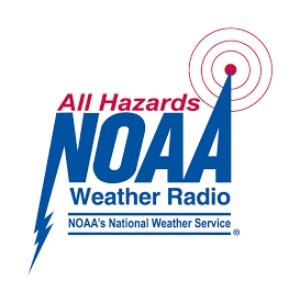 NOAA All Hazards Radio (also referred to as a Weather Radio) broadcasts National Weather Service warnings, watches, forecasts and other hazard information 24 hours a day, 7 days a week. Known as the "voice of the National Weather Service," NOAA Weather Radio is provided as a public service by the National Oceanic and Atmospheric Administration (NOAA), part of the Department of Commerce. The NOAA Weather Radio network has more than 425 stations in the 50 states and near adjacent coastal waters, Puerto Rico, the U. S. Virgin Islands and U. S. Pacific Territories. A great individual preparedness tool! Outdoor warning sirens are not meant to be heard indoors. This radio will provide the alerts as soon as they are issued by the National Weather Service. Thanks to NOAA Weather Radio, you’ll always have the answer to the question, "What's the weather?" Also, access to potentially life-saving emergency information whenever you need it. When you purchase a NOAA Weather Radio receiver, you are purchasing part of the National Weather Service network. The network is constantly upgrading its technology to provide the best weather reporting service possible for the nation. For less than the cost of a new pair of shoes, you can own a special weather radio that provides instant access to the same weather reports and emergency information that meteorologists and emergency personnel use – information that can save your life! NOAA Weather Radio now broadcasts warnings and post-event information for all types of hazards – both natural (such as earthquakes and volcano activity) and technological (such as chemical releases or oil spills). Working with other Federal agencies and the Federal Communications Commission’s new Emergency Alert System (EAS), NOAA Weather Radio is an "ALL HAZARDS" radio network, making it the single source for the most comprehensive weather and emergency information available to the public. Weather radios equipped with a special alarm tone feature can sound an alert and give you immediate information about a life-threatening situation. During an emergency, National Weather Service forecasters will interrupt routine weather radio programming and send out the special tone that activates weather radios in the listening area. The hearing and visually impaired also can get these warnings by connecting weather radios with alarm tones to other kinds of attention-getting devices like strobe lights, pagers, bed-shakers, personal computers and text printers. WHO NEEDS NOAA A WEATHER RADIO? Public safety experts agree: the receivers should be standard equipment in every home. They are especially valuable in places that are entrusted with public safety, including hospitals, schools, places of worship, nursing homes, restaurants, grocery stores, recreation centers, office buildings, sports facilities, theaters, retail stores, bus and train stations, airports, marinas and other public-gathering places. WHERE CAN I PURCHASE A NOAA WEATHER RADIO? Check with stores that sell electronics or call the National Weather Service office closest to you. Additional NOAA Weather Radio transmitters will continue to expand the nationwide network coverage to more rural areas. With new digital technology, life-saving messages broadcast on NOAA Weather Radio will now be targeted to a specific area, life a county or portion of a state, to bring more hazard-specific information to the listening area. Additional digital technology will provide automated broadcast capability for more timely service. Digital technology also allows these messages to be automatically received by all the communications industries of the information superhighway – broadcast, cable, satellites and other media – through the Federal Communications Commission’s Emergency Alert System (EAS). Weather radios come in many sizes and with a variety of functions and costs. Many of the radios sound a tone alarm and/or turn on the audio when severe weather announcements of emergency information are broadcast. To make use of the new digital coding technology, more sophisticated water radio receivers will be required. Most NOAA Weather Radio receivers are either battery-operated portables or AC-powered desktop models with battery backup so they can be used in many different situations. Some CB radios, scanners, short wave and AM/FM radios are capable of receiving NOAA Weather Radio transmissions. Many communities throughout the United States also make Weather Radio available on cable TV and broadcast television’s secondary audio programming channels. The goal of the National Weather Service and other emergency preparedness agencies is to expand the reach of weather radio broadcasts to 95 percent of the U.S. population. Innovative partnerships between the Weather Service, private sector organizations and state and local governments are fueling this expansion. For more information about developing a partnership with the National Weather Service, contact your local Weather Service office. If you would like further information on NOAA Weather Radio, visit NOAA Weather Radio. 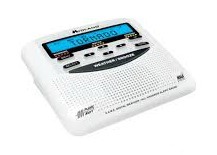 If you have any questions about NOAA Weather Radio in Grant County, please contact our office.